Yarn Is My Métier: Gimme Thin, Gimme Thick! They yearn to be made. will you buy some more? 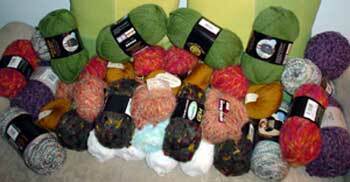 I already have two more shipments on the way -- one from JoAnn and the other from Jimmy Beans Wools. I'm partial to orange, y'know. S'long as its soft.